Yugen Blakrok (Johannesburg, South Africa) has signed to SFdigi, the digital imprint of Strange Famous Records! The underground has historically been a place where artists and musicians hone their craft before emerging onto the mainstream, however in today’s age, where the term Hip-Hop can mean a variety of things to a variety of people, it has become a subgenre of its own, a place some artists choose not to leave… But rather remain, perfecting their craft forever. Yugen Blakrok has been on the South African Hip-Hop scene for the last decade or so. Originally hailing from the Eastern Cape, and after featuring on various projects throughout SA, she began rocking mics in Johannesburg in 2007 in a crew called Recess Poetry, which quickly gained a strong following throughout JHB. The critically acclaimed ‘Return of the Astro-Goth’ (Iapetus Records) was released in 2013 was well received by the Hip-Hop community worldwide, receiving several 5 star ratings, and grabbing the attention of renowned Hip-Hop veterans such as Chuck D, Sage Francis and even the father of Hip-Hop himself DJ Kool Herc. It also saw her nominated three times at the 2014 SA Hip-Hop awards, in the best Lyricist, best Newcomer and best Female categories. 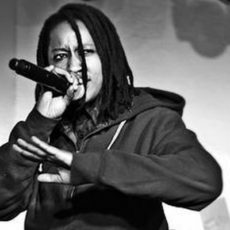 She has featured on several international collaborations, releasing music with artists such as Jak Progresso, Copywrite, Poetic Death and Planet Asia, as well as shared the stage with legendary acts such as Public Enemy, Sage Francis and Jeru the Damaja. Having just returned from the first leg of her European tour, performing several shows in Berlin as well at the infamous ‘L’Embobineuse’ in Marseille, and Stockholm, she is currently working on her SFdigi debut album, due to drop sometime in 2018.